In Israel, high school students helped launch a satellite into space – something typically reserved for university students. “The Herzliya Science Centre (HSC) is the science campus for Herzliya’s middle and high schools,” explained Dr. Meir Ariel, the director general of the centre, which opened in 2007. Some 1,500 students attend HSC advanced labs, studying and experimenting in physics, chemistry, electronics, biotechnology, computer science and robotics. 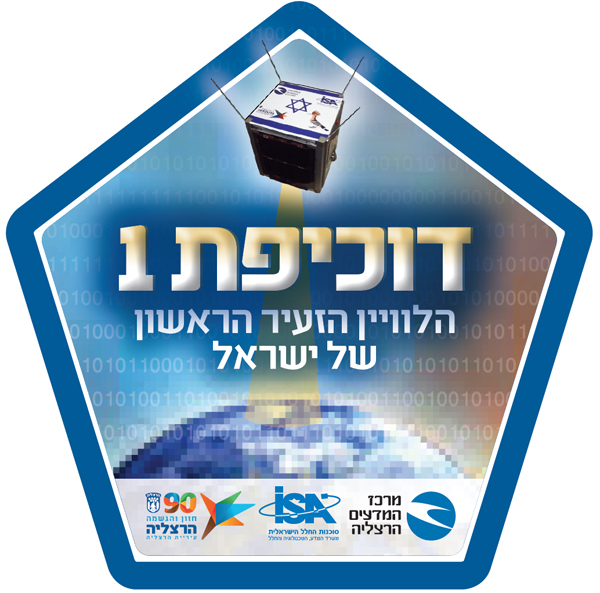 “The jewel of the crown is our space and satellite lab, the only lab in Israel where high school students can design and build satellites and send them into space,” said Ariel. This lab is attended by 40-50 of the brightest, most dedicated students from various schools in Herzliya and beyond. “Duchifat 1, the first Israeli nano-satellite, weighing less than one kilogram, required multidisciplinary knowledge – from electronics to software, communications, thermodynamics and astrophysics – to construct,” he said. Students wanting to participate began in Grade 9, with a two-year training period that provided the basic scientific knowledge needed to become candidates for membership in the space and satellite lab. 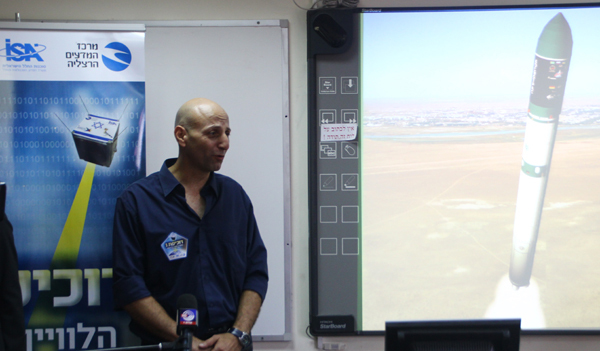 Collaboration with the Israel Aerospace Industry was crucial for the project’s success. Each team was led by an experienced engineer. Students not only learned from their mentors, but they were also exposed to state-of-the-art technology, tools and developmental procedures. Duchifat 1 was successfully launched into space aboard the Dnepr launcher a couple of months ago, on June 19. Shenhav Lazarovich, 19, was one of the students who helped build Duchifat 1. She heard about the opportunity during an open day at Handasaim Herzliya High School, when learning about HSC. Lazarovich had two major responsibilities in building Duchifat 1 – buying and upgrading the lab equipment (including satellite parts) and serving as the programming team’s EPS (electronic power system) programmer. The other student on Lazarovich’s team was Ori Opher, who was responsible for finding solutions to various battery-related problems, like low battery discharge time and battery thermal issues. “The battery is the heart of the satellite and needs to work at its best to fulfil the main goal of the satellite – saving lives (as an SOS signal transmitter),” said Lazarovich. The satellite was launched by Dnepr 1, a Russian missile converted for space launching use. At this launch, it had 37 satellites from countries around the world. “It was an amazing experience,” said Lazarovich. “We gathered around with 37 teams all over the world and watched how our ‘baby’ made its way to fulfil its destiny. Anna [Dr. Heller] has been working on this project for more than 10 years and I was there for the last four. Yarden Carmel, 17, decided to take part in the Duchifat 1 project about three years ago, after switching to a different high school, where one of the mandatory classes was Satellites and Space. Carmel and his team worked on the memory management of the satellite. “Duchifat 1 got some kilobytes flash memory, like those used in the portable flash drives, but with much less memory capacity,” he said. “Our mission was to find an algorithm that would hold the information the satellites generate (like life status) and receive (like stress signals from earth) for the longest time without being overwritten by new information. “During these difficult times in Israel,” said Lazarovich. “I’ve wanted to say that the key for a better future is science and education. Combining these on both sides will result only in good to the whole region and the entire world. Science is an endless source for development and making the world a better place. The launch video, and other Duchifat 1 videos, can be seen on YouTube.